CATARINA, Nicaragua – Catarina, the birthplace of La Sele defender Óscar Duarte, the first Nicaraguan to score a World Cup goal, overflowed with fans receiving its most famous son last week. Duarte, 25, scored the game-winning goal against Uruguay in Costa Rica’s first match of the tournament. When he stepped out onto the pitch, he became the first Nicaragua to ever play in a World Cup match – and then he became the first to score. “They opened the door there [in Costa Rica] to achieve a dream I had as a child: playing in the World Cup, scoring a goal and being recognized by FIFA to be among the best players,” Duarte said. Thousands of fans walked around the truck that carried Duarte through his hometown. They raised their hands to touch him, passed him T-shirts to sign or simply greeted him. A large procession followed the sports hero, playing philharmonic music and setting off firecrackers. Duarte’s success at the World Cup puts him on the level of other Nicaraguan sports heroes like three-time boxing world champion Alexis Argüello and four-time Major League Baseball all-star Dennis Martínez. By becoming the first Nicaraguan to play in the World Cup, Duarte helped lessen tensions between his homeland and Costa Rica — the two frequently bickering neighbors are involved in several border disputes. Duarte celebrated that Nicaraguans, whose favorite sport is baseball, had given their support to Costa Rica and he expressed hope that “with time there will be better relations” between the two countries. “Oscarito” as they call him in the neighborhood where his family lives, was declared a “favorite son” of Catarina by the municipal government. He was honored with a plaque recognizing his outstanding play. More than 500,000 Nicaraguans have immigrated to their neighboring country in search of work to help their families. And Duarte left to Costa Rica with his mother at a young age. “When he was a child and went with his mom to Costa Rica, he already carried with him the idea of playing football, because he walked around kicking a ball with the kids in the street, and once he broke the glass on an international bus passing through [the pueblo],” said neighbor Robert Gutiérrez while laughing. 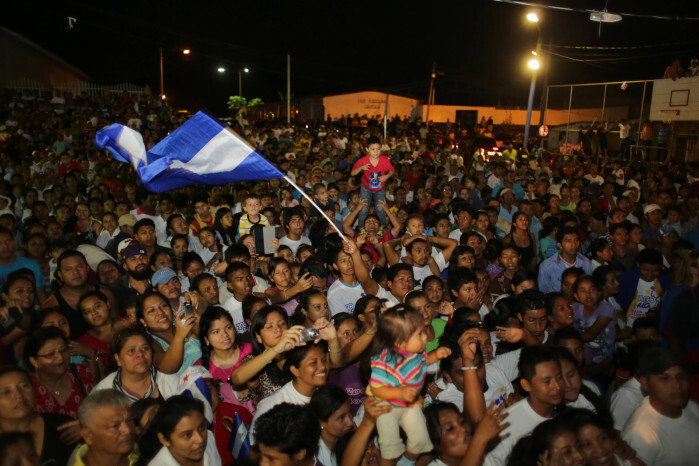 The gestures of admiration for Duarte began when he arrived at the Augusto C. Sandino International Airport, where young followers received him while waving Nicaraguan flags. 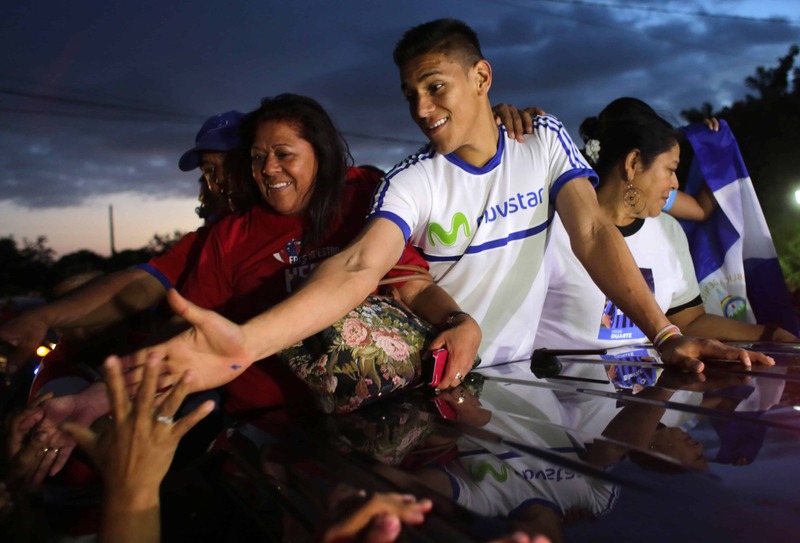 Before arriving in Catarina, a motorcade escorted him from Managua as he toured several neighboring villages where people came out of their houses to give tribute to the defender who plays professionally in Belgium.